The BBE Pro curved hook and jab pads incorporate a re-enforced wrist padding support, double stitched seams for extra durability, as well as a curved ergonomic design for maximum comfort of using. These professional pads are produced from good quality artificial leather that provides superior feel. They feature an anti-slip ball grip palm, fingertip protection and 40mm shock absorbent layers of closed cell and EVA foam combination. In addition, they weigh 0.8kg (1.76lbs) and utilise a comfort fit anti-slip glove pocket. 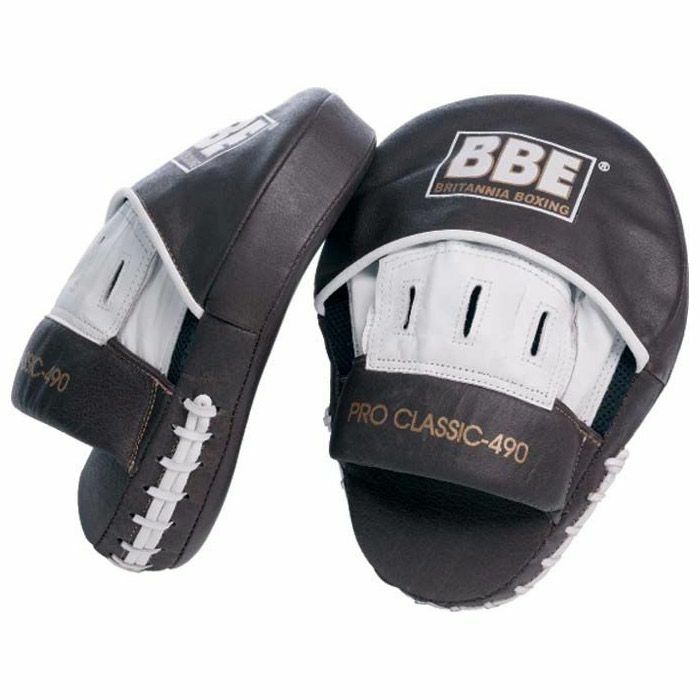 for submitting product review about BBE Pro Leather Curved Hook and Jab Pads.